New Zealand lost a wonderful literary character today, as Margaret Mahy died. I have enjoyed Mahy’s picture books as well as her Young Adult fiction for a very long time now. She pops up all over the place – in the children’s school journals and learning to read books, as a performer, librarian, and in well-worn stories on the library shelves and private book shelves all over the country (and world). When sending books to children overseas, I’ll often choose Margaret Mahy. But which story is my favourite? 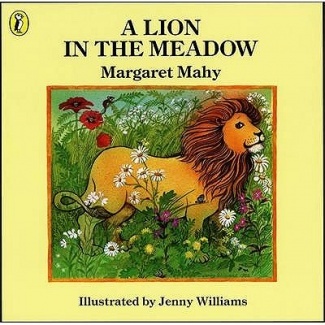 For younger children, I love A Lion in the Meadow. This was Mahy’s breakthrough story, first published in 1969, and like many of her picture books was a triumph of imagination. The language is wonderful, and the expressive reading possibilities are endless. When my older children were 5, 7, 8 and 9, I went to their school during Book Week. I dressed up as a fairy and took a selection of books and spent the afternoon reading to the children in the school. I started with the New Entrants, Year 1 and 2 children, and to them, I read A Lion in the Meadow, and a Lynley Dodd book. For the years 3 and 4, I read A Lion in the Meadow and The Witch in the Cherry Tree. For the oldest children, I read The Witch in the Cherry Tree and Captain Abdul’s Pirate School. I think that The Witch in the Cherry Tree is probably my most favourite Mahy book to read. The imagery is fabulous, and worked well for the middle school kids and was useful for the older children who’d been talking about similes and metaphors. The image of the witch whirling into the sky like a cinder is one which strikes me as fresh every time I read it (and I have read it hundreds of times). The rhythm of the language means that it reads well every time, and it is easy to believe that the witch is real. I am a big reader of Young Adult fiction, and have enjoyed many of Margaret Mahy’s young adult stories. 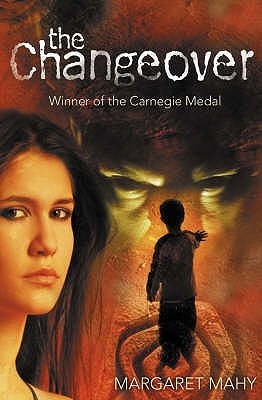 From the eeriness of Kaitangata Twitch to the chilling The Tricksters with its entwined story of family secrets to my favourite, The Changeover, I have read and re-read these stories until my copies of the books are battered and torn. Margaret Mahy has given me hours of enjoyment with her books, and helped us build a love of words and books in our children as well. We’ve spent many happy bedtimes reading her stories together, with the children at first memorising and gradually learning to read them for themselves. RIP Margaret Mahy, and thanks for all the wonderful words.